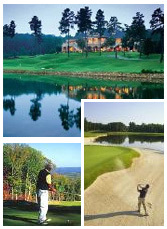 Chapel Hill, Raleigh, and Durham areas of NC have many golf course communities to choose from. Whether you are looking to build a custom home in a Chapel Hill golf course community, or perhaps purchase an existing home, there are several Chapel Hill golf course communities to choose from. Living in a Chapel Hill golf course community is not just about the 'sticks and bricks' of your home - it is also about the lifestyle that accompanies living in a Chapel Hill golf course community. Many golf course communities offer resort-style amenities to complement your passion for golf in a beautiful and relaxing North Carolina golf course setting! A private, residential community, featuring a 18 hole Fred Couples Signature Golf Course. Clubhouse, tennis center, Jr Olympic pool, and fitness facility. Large Selection of home sizes, architectural styles and customized building options. Nestled within 1,200-rolling acres and over 850 lots. A GOLF community, featuring a 18 hole Davis Love III Signature Golf Course. Clubhouse, tennis center, Jr Olympic pool, and fitness facility. Large Selection of home sizes, architectural styles and customized building options. 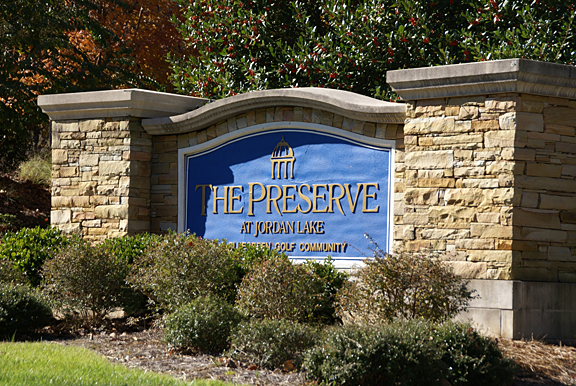 Nestled near Jordan Lake within 640-rolling acres and over 516 lots. 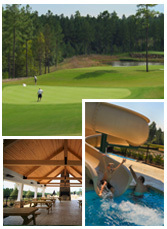 Governors Club is a private gated community located in Chapel Hill, NC. A sprawling community consisting of custom homes nestled in natural surroundings and highlighted by a private country club and professionally designed golf course featuring 36 holes. The community boasts a 40,000 square foot+ clubhouse with pool, fitness club, tennis courts and playground. With a variety of home sizes and styles to choose from, Governors Club is a popular choice for those looking for a gated community close to downtown Chapel Hill. Vacant lots are still available to build a new custom home.